Psychologists have studied people who have had “peak”, “mystical” or “religious” experiences and found that the effects in their lives are almost always positive. These experiences, strange as they may seem to the rest of us, do not seem to have been the result of mental illness, drugs, epilepsy or any other “abnormality”. So are they really in touch with God? Or are these experiences just a product of our minds? Read a few accounts, check out the evidence, and decide for yourself. Over the centuries, a number of “saints” have been considered mystics – that is, they lived lives devoted to God, sought a deep union with God, and experienced God in some direct way. Often these experiences gave them new understandings of life and God. For some people, mysticism refers to some form of “new age” cosmic consciousness, or similar, perhaps supposedly based on ancient secret wisdom from Egypt or elsewhere. Many “ordinary” people report some mystical or “peak” experience at some time in their life, often without seeking it, and without ever being considered as mystics. Sometimes these experiences have deep effects on those who receive them, but other times the experience is not as deep, and may simply be called a “religious experience”. On this page I look at what people experience, how such experiences affect people, how they have been investigated scientifically, and what we may conclude about them. I focus more on the western world, aware that eastern religions have a different perspective, which is sometimes covered in the sources I have used. I generally use the term “mystical” but some of the researchers use “peak” or “religious” – these generally refer to similar experiences though perhaps with different levels of intensity. There are references at the end. The best way to describe the sorts of experiences I am investigating here is to recount a few of them. From the Religious Experience Research Unit at Oxford University, in A sense of presence by Timothy Beardsworth. From Varieties of Religious Experience by William James, quoted in The Trace of God by Joseph Hinman. 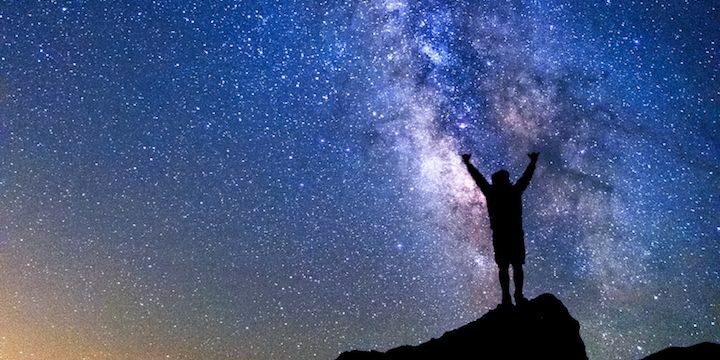 It is evident from these examples that mystical experiences may involve God, or may be more general, and may even occur with those who don’t believe in God. Accounts of religious experiences have been collected by groups such as the Religious Experience Research Unit, at Oxford University from 1969 to 1999, then as the Religious Experience Research Centre at the University of Wales. This database of more than 6,000 accounts allows people’s experiences to be examined, categorised and statistical conclusions drawn. Reports from psychologists and psychotherapists have been written up and published in scientific journals to provide insights into how spiritual experiences affect people being treated. The scientific study of religion, for example as conducted in the Religion and Science Program at Boston University, and by psychologist Andrew Newberg, involves scientific research studies into many aspects of religion, including religious experience. A sense of a presence While both religious believers and non-believers can have mystical experiences, most report a sense of a presence, something holy or numinous. Heightened perceptions People feel more aware, sometimes having auditory or visual hallucinations. Unity and oneness Most have a feeling of the unity of all creation, and their oneness with the creation. A sense of new understanding and knowledge Mystical experiencers often feel that their experience is not just subjective, but has given them new and truthful knowledge, and new insights into the mysteries of life, God, the universe or themselves. Sometimes sensations are heightened. The experience is ineffable People find it difficult to express and explain their experience in words. Peace and joy Mystical experiences are almost always leave the person peaceful, joyful and even ecstatic. Positive outcomes Mystical experiences tend to lead to positive outcomes in people’s lives. Some misconceptions Mystical experiences, as we will see, are not the result of mental illness or drugs, and cannot be classed as “delusional” or psychotic. Some say they cannot be “manufactured” by technique (though spiritual practices may make one more receptive), but others say they can be induced. They don’t necessarily involve visions or voices (I have looked at visions in Visions of Jesus?). Studies show that mystical experiences, like religious belief generally (see Faith and wellbeing), mostly produce positive results in people’s lives. The following have been documented by many studies – Hinman has seen over 200 papers on this subject. Famed psychologist Abraham Maslow developed his hierarchy of human needs, which said that humans tried to fulfil the following needs, in order from basic to “highest”: psysiological (food, air, sleep, etc), safety, love & belonging, esteem and self actualisation, which he defined as meeting one’s full potential. Studies show that people who have mystical experiences are more likely to feel self actualised and be psychologically healthy, and have a greater sense of meaning and purpose in life. Maslow said self actualisers were more likely to have peak experiences. Wuthnow and Noble show a wide range of positive outcomes, including being self-aware, self confident, imaginative, self sufficient, intelligent, relaxed, less materialistic, more loving and compassionate and less dogmatic. Greeley found that ”mystics” were generally better educated, more successful economically, and less racist, and they were rated substantially happier on measures of psychological well-being and were in general satisfied with their lives, outcomes supported by Walsh. Studies show that those who have mystical experiences have better mental health than average, in a number of ways. Greeley found that mystical experiences are correlated with psychological well-being, and Walsh said that visionary experiences are most often found in those who are psychologically healthy and generally produce long-lasting beneficial effects in the individual. Caird tested those who had had a mystical experience against several measures of poor psychological health (neuroticism, psychoticism, and a lie score), and found that there was no correlation. Lukoff says that visionary experiences can be distinguished from psychotic experiences because their effects are very different – visionary experiences are transient and have few adverse affects. He concluded that the majority of the experiences he considered are not problematic and do not disrupt psychological, social or occupational functioning. Spirituality of various forms is found to be associated with many aspects of wellbeing – reduced rates of depression, suicide, alcohol and drug dependency, delinquency, divorce and mortality – and of course, those who have mystical experiences are generally part of this group (Gartner and Allen). I can find little research on the physical health effects of mystical experiences. Richards found that mystical experience helped patients fighting cancer. Ludwig found that mystical and spiritual experiences were helpful in some people recovering from alcoholism. Many other studies have found that religious belief, which includes many people who have had mystical experiences, is helpful in a wide range of physical conditions. People who have had mystical experiences tend to cope with the difficulties of life better. Sullivan, do Rozario, Ryan and others have found that those who have had mystical experiences tend to cope better with difficulties such as childhood violence, disability or chronic illness. However it is also true that childhood victims are more likely to have mystical and spiritual experiences in later life, so the causation can go both ways. Studies by Greeley, Walsh, Caird, Lukoff and Gartner & Allen show that there is no correlation between mystical experiences and psychopathology, and a good correlation between experiences and good mental health. Newberg & D’Aquili argue that there are significant and obervable differences between psychoses and mystical experiences – e.g. mystics have positive experiences from which they return to normality easily and in a good mental state, whereas psychotics often have negative experiences which last far longer and result in them being less fit members of society. It has been suggested many times that epilepsy can sometimes trigger experiences that are similar to mystical experiences (e.g. Finding God in a seizure: the link between temporal lobe epilepsy and mysticism). Lukhof and Lu refer to one study that supports this idea and another that suggests that epilepsy doesn’t cause mystical experiences. Newberg and D’Aquili discuss, but then dismiss, the connection. Greyson et al review all the literature and conclude: “the temporal lobe is not differentially involved in the generation of mystical states. Mystical experience does not appear to be associated commonly with seizures”. Runehov also reviews some of the main studies, and supports Newberg and D’Aquili because of their sound neurological basis. We may conclude that there can be some similarities between the two experiences but they can generally be distinguished. It has been found that certain drugs (psychedelics) facilitate or heighten mystical experiences, but Hinman says he hasn’t found a major researcher who believes drugs cause mystical experiences. However Griffiths et al found that “under supportive conditions” a psychedelic could lead to “experiences similar to spontaneously occurring mystical experiences”. It is probably fair to conclude that while there are sometimes similarities between the two experiences, it isn’t clear if they can be considered to be the same. Emotional distress, inability to cope Again, studies already referenced, by Sullivan, do Rozario, Ryan, Maslow, Wuthnow, Noble, Greeley and Walsh all show that experiencers tend to achieve more and cope with difficulties better. Levin & Steele say that sensory deprivation may trigger mystical experiences, but after that the experience proceeds very differently. Davis says that mystical experiences produce more positive experiences, and more quickly, than sensory deprivation , and most religious experiences cannot be ascribed to deprivation, except for some Hindu and Buddhist practices). I haven’t found anyone who thinks mystical experiences are merely the result of wishful thinking. Most reviewers agree that displines like meditation, fasting, mantras, prayer, etc, can assist in having mystical experiences, but genuine mystical experiences generally cannot be achieved at will. Many more people have mystical experiences than suffer any of the above conditions, and they generally achieve more in life and have greater wellbeing. Mystical experiences have many features that are not found in these conditions. For example, according to Newberg & D’Aquili, they occur more rarely in any individual and are much more real and complex than the experiences of epileptics and psychotics. Newberg & D’Aquili have conducted neuro-imaging studies to show that, neurologically, mystical experiences are not the same as these other “abnormal” experiences. Psychology is the study of behaviour; neuroscience is the study of the brain and nervous system. Psychology gains its information by observing or questioning people; neuroscience gains its information by physical measurement, for example, by brain scans or neuro-imaging. Often the two work together, so that neuroscience measures brain activity accompanying the behaviour that psycholoogy is observing. 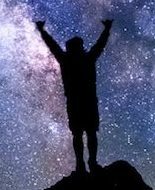 It is clear from all the above review that only a minority of mystical experiences are caused by abnormal psychology and neurology, and the majority arise from people with normal psychology and neurology. So the question arises: what causes them? There is an evolutionary reason why people have these experiences. A transcendent spiritual being actually contacts people. If mystical experiences have an evolutionary origin, then they must have been associated with something that increased the likelihood of survival of the individual. Since religious belief and mystical experiences have been shown to provide many health benefits which reduce mortality, it seems likely that our brains evolved in ways which allow them. Andrew Newberg says that our brains perform two primary functions – self-maintenance and self-transcendence – and have to keep these in balance. Self-maintenance is necessary for survival, but it is very limiting, and self-transcendence helps us keep a larger perspective. The interesting thing is that religion performs the same functions, and so assists the brain, and thus promotes survival. For example religious belief tends to exercise control over destructive behaviours, while also helping us feel in control in an uncertain and terrifying world. So, Newberg says, belief in God seems to be “built-in” to our brains’ functioning. This accords with the findings of many cognitive scientists, that a propensity towards religious belief, especially belief in a creator, is innate. Newberg believes his research shows that religious belief is the natural disposition of a healthy brain, although our choices about belief (whether atheism or theism) modify our brains so the brains of atheists and believers become wired differently. Does this rule out God actually existing? So are there any reasons to believe that God is the ultimate source of mystical experiences? No-one I have read suggests mystical experience provides proof that God exists, except maybe to the one experiencing God in that way. So how should we examine this question? Hinman suggests the following approach. Mystical experiences are very personal and are not amenable to scientific analysis – for example, they cannot be produced on demand the same way religious practices like prayer and meditation can. In any case, even if science could analyse the experience, the existence of God as a cause is beyond direct empirical testing. He suggests we are prima facie or initially justified in accepting things are the way they appear if (1) it does appear that they are that way, and (2) there is no reason to think that something has gone wrong. we have confirmation of our perceptions from others. On this basis, it can be argued that mystical experiences provide a good reason to believe that God exists. The argument goes like this …. Mystical experiences occur, have been documented, and appear to reveal God. They generally occur because of normal, not abnormal, psychology and neurology. They have documented life-transforming effects in people’s lives, and assist people in making sense of the world, which is what you’d expect from the divine, and is what religion is supposed to do. shared ( different people have similar experiences). Therefore we can say that mystical experiences ‘work’ in the way you’d expect if they are divine in origin, and when something works as we expect, it is reasonable to think that our understanding of it is correct – that is how science works. Postulated physical causes have either been found to be unable to explain the experiences (pathological causes) or are consistent with a divine source (healthy neurology). It is reasonable to infer from the real effect to a real cause = God. Thus mystical experiences appear to provide prima facie justification to infer that they genuinely can put people in contact with the divine. The most obvious objection to the reality of mystical experiences is that they occur among all religions, and sometimes even atheists. This would be an objection against identifying the divine source of the experiences with one particular religious tradition, but mystics seldom make dogmatic statements about the being they believe they have experienced (mystical experiences are often regarded as ineffable). Provided only general claims about God are made, it seems to me that this objection is not strong. If mystical experiences are ineffable, how can we make judgments about their content? The main arguments for the validity of these experiences are the measurable results in the subsequent lives of the recipients. And while experiencers find themselves unable to express the depths of their experience, they are able to describe the main details, which is enough for the purposes of the argument here. Some people have a preference for a natural explanation, some are happy to accept a more transcendent one. I am happy to leave it at that. In summary, mystical experiences have been shown to be positive, life-affirming, healing, and consistent with the idea of a loving God, and less consistent with other assumptions. It is therefore reasonable to conclude that they provide useful evidence for the existence of God. Whether that evidence is enough to convince, either on its own, or cumulatively when considered with other evidence, is for each of us to decide. Batson D, Schoenrade P & Ventis L, 1993. Religion and the Individual: A Social-Psychological Perspective. Oxford University Press. Beardsworth T, 1977. A Sense of Presence: The Phenomenology of Certain Kinds of Visionary and Ecstatic Experience, Based on a Thousand Contemporary First-hand Accounts. Religious Experience Research Unit. Caird D, 2011. Religiosity and personality: Are mystics introverted, neurotic, or psychotic?. British Journal of Social Psychology. Davis C, 1989. The evidential force of religious experience. do Rozario L, 1997. Spirituality in the lives of people with disability and chronic illness: a creative paradigm of wholeness and reconstitution. Disability and Rehabilitation. Gartner J & Allen D, 1993. The faith factor” an annotated bibliography of systematic reviews and clinical research on spiritual subjects, Vol 2. Quoted in Hinman (2014). Greeley A, 1975. The sociology of the paranormal. Sage Publications. Referenced by Tim Knepper, Boston University and the Council on Spiritual Practices. Greyson B, Brosheka D, Derra L & Fountain N, 2014. Mystical experiences associated with seizures. Religion, Brain & Behavior. Griffiths R, Richards W, McCann U & Jesse R, 2006. Psilocybin can occasion mystical-type experiences having substantial and sustained personal meaning and spiritual significance. Psychopharmacology. Hinman J, 2014. The Trace of God. GrandViaduct. Levin J & Steele L, 2005. The transcendent experience: conceptual, theoretical and epidemiological perspectives. Explore. Ludwig AM, 1985. Cognitive processes associated with “spontaneous” recovery from alcoholism. Journal of Stdies on Alcohol and Drugs. Lukoff D & Lu F, 1988. Transpersonal psychology research review topic: mystical experience. The Journal of Transpersonal Psychology. Lukoff D, 2007. Visionary Spiritual Experiences. Southern Medical Journal. Maslow A, 1971. The farther reaches of humon nature. Viking Press. Mattey G, 2002. 2002 Lecture Notes, Lehrer’s Theory of Knowledge, second edition. Chapter 4, The Foundation Theory: Fallible Foundations. UC Davis. Newberg A & D’Aquili E, 2002. Why God won’t go away: brain science & the biology of belief. Random House. Noble K, 1987. Psychological Health and the Experience of Transcendence. The Counselling Psychologist. Richards W, 1978. Mystical and Archetypal Experiences of Terminal Patients in DPT-Assisted Psychotherapy. Journal of Religion and Health. Referenced in Lukoff & Lu (1988) and Hinman (2014). Runehov A, 2007. Sacred or Neural? : The Potential of Neuroscience to Explain Religious Experience . Vandenhoeck & Ruprecht. Ryan P, 1998. Spirituality among adult survivors of childhood violence: a literature review. The Journal of Transpersonal Psychology. Saver J & Rabin J, 1997. The neural substrates of religious experience. Journal of Neuropsychiatry and Clinical Neurosciences. Sullivan W, 1993. “It helps me to be a whole person”: The role of spirituality among the mentally challenged. Psychosocial Rehabilitation Journal. Walsh R, 1980. The consciousness disciplines and the behavioural sciences: Questions of comparison and assessment. American Journal of Psychiatry. Wuthnow , 1979. Peak Experiences: Some Empirical Tests. Journal of Humanistic Psychology. The mystical experiences registry and accounts of people’s experiences. The kindness of God – Stories about God. A rationalist’s mystical moment. Barbara Ehrenreich, New York Times. Mystical experiences of God – New Testament scholar Marcus Borg. The question of God. Andrew Newberg and Eugene D’Aquili. Mystical Experiences & Religious Mysticism. Age of the sage. Mystical Experience. Friends Journal (Quaker). How Mystical, Metaphysical Or Intuitive Experiences Fit In A Rational World. Susan Smalley, Huffpost. Encyclopedia of Religion and Society on religious experience. Photo Credit: Bryce Bradford via Compfight cc.